OKLAHOMA CITY - The Oklahoma City Dodgers, the Oklahoma Highway Safety Office, and Safe Kids Oklahoma are teaming up to sponsor a free car seat check from 8 a.m. - 11:30 a.m. Saturday, Sept. 16 in the Joe Carter Lot at Chickasaw Bricktown Ballpark. The free car seat check will take place during Child Passenger Safety Month, which is dedicated to helping parents and caregivers make sure their children ride as safely as possible, every trip, every time. Saturday's event aims to raise awareness about the dangers children face if they are buckled in improperly. Certified technicians will be on hand to install car seats and booster seats, and to check previously installed seats, at no charge. Car seats will also be available for $10 for those who can provide proof of government assistance. To receive a car seat check or be eligible to receive a car seat, the child must be present and an expectant mother must be within six weeks of delivery. Devon Sisson, Director of Safe Kids Oklahoma, said that the safest place for all children under age 13 to ride in a car is in the back seat. "It's our job to keep our children safe," Sisson said. "Get your car seats checked. Make certain they're installed correctly, and that your kids are in the right seats and are buckled in correctly. Even if you think your child is safe, check again, so you can be sure that your child is the safest he or she can be while traveling. "Every 33 seconds in 2015, a child under 13 was involved in a crash. Using car seats that are age- and size-appropriate is the best way to keep your children safe." Technicians will be stationed east of Chickasaw Bricktown Ballpark in the Joe Carter Lot Saturday. Participants may enter at the east end of the parking lot along Charlie Christian Avenue, just north of East Reno Avenue and west of McDonald's. The National Highway Traffic Safety Administration recommends keeping children in rear-facing seats as long as possible. Once the child outgrows the rear-facing seat size limits, the child is ready to travel in a forward-facing car seat with a harness and tether. After outgrowing that type of seat, children should be placed in booster seats until they are the right size to safely use seat belts. For more information about car seat safety or to locate a certified technician, visit: nhtsa.gov/carseat. 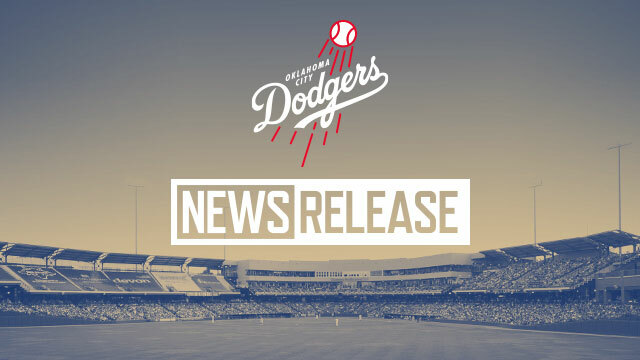 For information about OKC Dodgers season tickets and group outings for the 2018 season, call (405) 218-1000 or visit okcdodgers.com.